This blog is aimed at being a positive and helpful insight into what it is really like to have breast cancer at a young age. Where other websites give facts and figures, possible side effects and outcomes, the most helpful information is usually that of real people, with real experiences. So, with the hope of achieving just that – a real account of a breast cancer journey with the hope of helping just one other person trying to get through to the other side. I am Dee Matthews diagnosed with breast cancer Invasive Ductal Carcinoma In Situ, in 2014 at the age of 32 years. Living in Leeds, West Yorkshire with a husband and two young children. Brilliant Dee. What a great reason to start a blog and so hopeful and helpful to many. I came across your blog on twitter and absolutely love it. I am the Health Promotions officer for Trekstock, a cancer charity that supports all young adults (18-39) in the UK who have experienced cancer. We would love if you joined our Young Person’s Network. 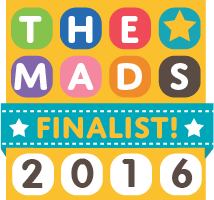 I am the BritMums Editor and you have been shortlisted in our annual BiBs awards! Can you email me at Nadine@britmums.com so we can send you the information? Well done! My Grandma got breast cancer at 24, it really does happen. Love your blog! Thank you Helen, I have had a bit of a wobble of late in the writing front. I always hope what I write does help though in my own small way. I’ve just come across your blog and wanted to say how much of what you write resonates with me. I was 34 when I was first diagnosed; my son was 5 months old and my daughter was 3. They are 16 and 19 respectively now. Reading your blog has made me smile and cry at the same time. It’s reminded me of the emotional impact upon us when first told ‘You have breast cancer’. I developed secondary breast cancer 9 years ago and have only recently started blogging. Your words have inspired me and made me realise it’s never too late to start. Thank you and very best wishes to you.